Moab was truly the most vegan friendly city I found on my tour of Utah. I was blessed to find places that offered a veg option in the smallest of Utah towns but I found the most variety in Moab. One of the first things my mother did was pick up a 2015 Moab Menu Guide and I referenced it often. The menu guide was especially useful for pointing out places that wanted $8.00 for a bowl of quinoa or $17.00 for a pizza. Perhaps it’s amazing quinoa and pizza but I am not in a place in my life where I don’t blink an eye at those sorts of prices. I’m not sure I’ll ever be in that place. So, frugality being the word of the day, what’s a thrifty vegan to do after a long day in Arches? The answer? Zax! I admit I did not set out to eat at Zax. My family and I were hungry and, no one having made a decision on where to eat, we started down Main Street. We’d driven a couple of blocks when this caught my eye. Any place with open flame couldn’t be all bad and, from the street, it looked like tables were open. My family was game and we found a parking place. Patrons ebbed and flowed from Zax’s side door but we were assured a 10 to 15 minute wait so we claimed spaces on the bench and perused the menu. Some of the prices made me wince but I’d seen worse. The Zax Tasty Wrap sounded good and its $8.99 price tag included fries and a pickle. I could wrap both my head and my budget around that and even paid the extra $1.50 for hummus. The water with lemon was free so I felt fairly comfortable with my order. My family ordered the pizza buffet so I was left alone to wait. I did not have to wait long. Zax has amazing service and my Tasty Wrap lived up to its name. The veggies were fresh and crisp, my tomato/basil tortilla another layer of flavor, and and Zax kindly left the cheese out of my wrap. I could have done without the balsamic vinaigrette topping: I’d ordered it thinking a tangy topping would be good and it was; it was also messy. The fries were crisp without being greasy or salty and I love pickles. I ate everything on my plate. My mother was questioning that last piece of pizza she ate so we both chose to walk the two and a half blocks to the motel. We left, pleased with our dining choice. I’d definitely go to Zax again. The wrap was far more appetizing than this picture makes it look. Try it if you’re ever at Zax…I promise I’m not steering you wrong. After Moab, I was consigned to veggie burgers until we reached Hurricane, Utah and JB’s Restaurant. I’ve gotten in the habit of asking locals where to eat because; who better to suggest something than someone who lives there? My local expert did not suggest JB’s Restaurant but rather Triple TJ’s Cafe. I googled it and saw the had a veggie burger. Great. But, if my family wanted burgers, I’d eat another veggie burger. Fortunately, or unfortunately, depending on your point of view; Triple TJ’s had closed by the time we arrived. What luck?! JB’s was open and JB’s had a salad bar. Salad bars can be tricky. I’m sure we’ve all experienced the old, limp greens, mushy veggies, all dairy based dressings, and no beans salad bars before. Not so with JB’s. The salad bar was like manna from heaven. The greens were fresh and crisp, the veggies tasted like they’d been picked that day (and the radishes were refreshed while I stood at the bar), there were beans, pickled beets, sunflower seeds, baby corn, carrots, fresh fruit…a cornucopia of veggie goodness. And, best of all, JB’s had a taco bar where two sorts of beans were offered. I piled my plate full with salad guaranteed to satisfy any vegan (or non-vegan:) ) and made myself a taco with chili beans, lettuce, and salsa. I remember JB’s as being the best restaurant I ate at in Utah. That may be because I ate there after three days of veggie burgers but I didn’t imagine the freshness of their ingredients. My pictures don’t due JB’s justice but I managed to snap some before my camera battery died. So, perhaps the locals are right and Triple TJ’s is the place to eat. I recommend giving JB’s a try. There is enough on their salad bar and buffet to satisfy vegans and non-vegans alike. As someone who tries to be a healthy vegan, I’m grateful to Zax an JB’s for offering fresh and fabulous veg-friendly food. The Holiday season has meant a I’ve been attending a series of dinners and parties. I’ve never had a job where I’m management so the responsibility and the dinners are both new to me. My boss wanted to host a thank you dinner for her management staff at her home last weekend and her chef husband was going to cook. This was my first private, non-family, dinner party as a vegan and I wasn’t sure what to do. True to the vegan etiquette tips I found online, I offered to bring my own food; a suggestion that was meant with cries of horror. “You’re a guest! I can’t have a guest bring her own food!” My boss insisted her husband would cook something separate for me and I experienced waves of vegan guilt. The poor man would already be slaving over a hot stove for people and now he’d have to make a separate meal for me. I assured my boss I didn’t mind but she waved away my offer and I subsided. Now I was on the horns of a dilemma. My boss had requested information on my dietary restrictions which she’d faithfully passed on to her husband but my brain was full of stories I’d found on the internet where vegans were offered fish, or animal-based broth was used. What would I do? Everything I am cringes at the rudeness of refusing food when someone has made something especially for me but this lifestyle isn’t one I’ve chosen purely for compassionate reasons. Dairy and I are not friends and my reactions to eating it are getting worse all the time (Dairy finds its way into EVERYTHING and I’m having to become a label ninja in order to avoid it). I would prefer not to consume anything animal based but neither could I be rude to a human being. I fashioned a plan. I had holiday shopping to do which meant I’d have to eat a late lunch. My boss had agreed to let all of us staff bring appetizers so I dug through my cookbooks and found a high protein four seed paté. I figured with the late lunch and my appetizer I would be able to taste the food made for me by this poor man but not so hungry that, if I couldn’t make a meal of it, I wouldn’t starve. I swear, the paté is going to be the star of this post but I have to tell you all how the dinner party went. My boss’s husband bent over backwards to create a meal for me. He made his butternut squash soup with organic vegetable broth (he even showed me the container) and served the cream separate. My co-diners didn’t mind. They enjoyed swirling their cream into their soup and I enjoyed mine dairy free. He made my potatoes gratin in a little ramekin, without cream, and made me a personal berry crumble with olive oil instead of butter. My main course was quinoa and vegetables that he stir-fried with olive oil and a balsamic reduction. I ate like I hadn’t seen food in days, cleaning my plate of every morsel. His kindness to me, and his desire to be sure my dinner was tasty, almost brought tears to my eyes. A thank you card doesn’t seem like enough. Everyone was curious to try my vegan paté. I found the recipe in Robin Robertson’s “1000 Vegan Recipes” and the spread is made with sesame seeds, sunflower seeds, pumpkin seeds, flax seeds, tahini, garlic, soy sauce, and olive oil. The seeds are toasted before going into the food processor to be turned to powder. All other ingredients are tossed in and the lot pulsed until it forms a spread. Side note: the olive oil can be left out of this recipe. The essential oils in the seeds and the tahini are all this recipe needs. My co-workers were surprised at how tasty my paté was although the multi-seed crackers were bigger hit. I admit, I’m always thrilled when non-vegans try something I make and are surprised at how full of flavor vegan food is. The idea that I live on grass and tofu is steadily being proven wrong. The dinner party was the first time I’d ever made this recipe and it went over so well the paté made another appearance at my work holiday party. This party was appetizers and snacks instead of a potluck and I thought the paté a great choice because it was easy, it traveled well, and I’d have a high protein snack in the middle of the afternoon. The chocolate cookies were far more popular than my savory spread but I think I’ve found a go-to party favorite. Now, I just have to work on my presentation. Maybe a sprig of holly, or a wreath of evergreen branches…something that says “Have a Happy Holiday and enjoy some vegan paté”. 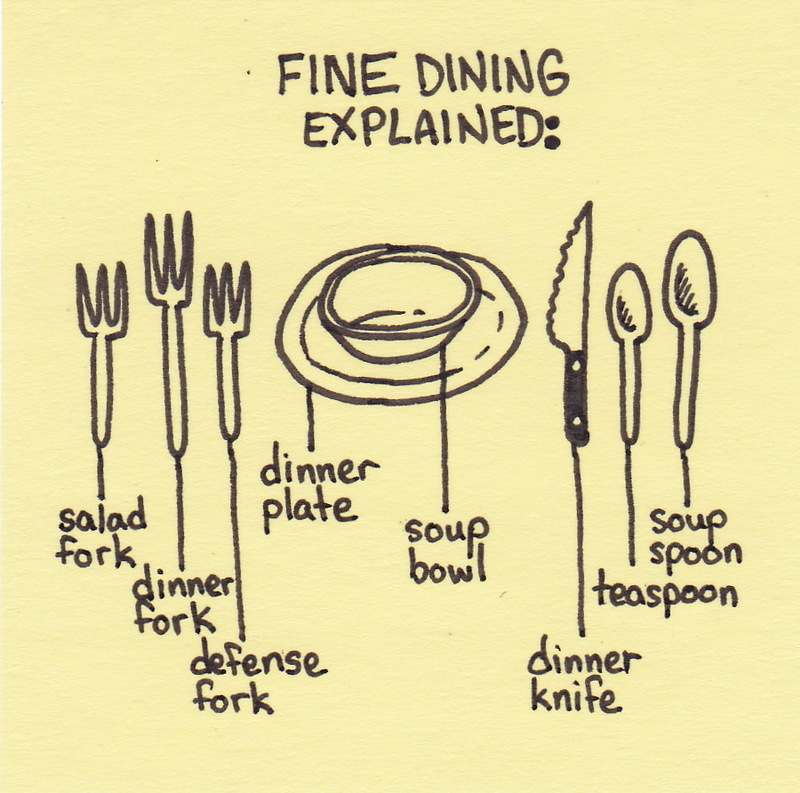 I recently had an opportunity to eat at a Country Club: The Pinery in Parker, Colorado to be specific. This was my first Country Club meal and I was interested to see how vegan friendly The Pinery was. The answer? Not very. The menu is vegetarian friendly but cheese and/or eggs were rather difficult to avoid. The decor is beautiful; tasteful and elegant. The waitstaff is among the friendliest I’ve ever experienced but of vegan options there were not many. I was at the club for a full day so ate both lunch and dinner there. With both of these meals, I exhausted the vegan options. I’ve learned a vegan has to be careful, ask questions, and not assume just because something on the menu sounds vegan it is. For example, The Pinery’s menu had fried green beans with a wasabi dipping sauce listed in the appetizer section. But, experience has taught me to ask; what is used in the batter on these green beans? Eggs. Extrapolating from that data, I postulated the onion ring batter would also contain eggs and the onion ring dipping sauce would contain mayonnaise. Both assumptions were proved to be correct. A deeper perusal of the menu found a kale salad with quinoa, garbanzo beans, and beets; easily made vegan by leaving off the feta cheese. I also found eggplant crepes (stuffed with cheese), spinach dip (cheese), and bruschetta with burratta (cheese). For lunch, I decided on the kale salad and the kitchen kindly left off the feta cheese. I have no complaints with the salad. The kale was fresh, it was loaded with quinoa and beans (for all you protein aficionados out there), and the golden beets were a colorful and delicious addition. When it came time for dinner, I felt I’d considered and discarded most of the vegetarian entree options because of the amount of cheese in them and ordered from the appetizer menu. Fortunately, The Pinery serves a hummus plate. My hummus came with fresh carrots, crispy celery, and triangles of soft pita bread. I also ordered the house-made chips with fire roasted tomato salsa. And thus, a meal is born. I can’t say enough good things about the salsa. The fire-roasted tomatoes added a smoky flavor, jalapeño peppers added tongue tingling spice, and fresh cilantro cooled the burn down. The chips were warm, crispy, and the light touch of salt was perfect. Chips, salsa, hummus, veggies, and pita bread: not a bad meal though I say it myself. My Country Club experience was interesting and I thought it valuable. It was a good opportunity to check out a different menu and the meals were not ones I had to pay for. Free-for me-meals? No complaints here. I am glad to get back into my kitchen with my one pot grain, bean, and veggie stews. Peasant food it may be but it’s hearty, healthy, and filling. And, while I like it and am grateful for it, I think I’m ready for a break from hummus. I expected dinner at someplace like the picture above but, in truth, I went to the Mercury Cafe in Denver last night. Let me backtrack a little. My family is renovating their main bathroom and, as it saves a little money if I paint it, I spent several hours yesterday painting a ceiling white, cutting in a pale blue along the top of the walls, and painting the same blue anywhere a roller wouldn’t reach. By late afternoon, I was ready for a treat and Seemie Xavier, my belly dance instructor, had provided me with a perfect opportunity. Seemie is an amazing dancer, proficient in belly dance and Bollywood; and I believe she’s taking Flamenco lessons. I was thrilled to have an opportunity to see her perform and even more thrilled when I learned the venue was a cafe/restaurant that catered to vegetarians and vegans. Now, I don’t wish to sound like I’m complaining because I’m not. My lifestyle is my choice and I don’t expect the world to change itself to accommodate me. However, it isn’t very exciting to be throwing meals together from side dishes or ordering a menu item without 25% of its ingredients (the price doesn’t change because I leave off the cheese and dairy based spread-I’m just saying…). I was, perhaps, more excited than I should have been to try a place where I could order straight from the menu and have my meal be completely vegan. I set a reservation for an hour ahead of the show’s start time and headed downtown. I don’t usually go downtown. It’s busy, it’s crowded, and the one way streets can be a confusing. I considered taking the light rail downtown but that would mean walking four blocks from the train station to the restaurant, then back after the show, and a half hour wait for the next train. My mother looked a little pinched at the idea I’d be walking around Downtown Denver, by myself, late at night and I had to admit a parking lot directly across the street from the restaurant sounded nice and convenient. Parking after 4pm only costs $4.00, which is less than what round trip train fare costs: I drove. I was nervous because I’m unfamiliar with Downtown Denver but I have GPS. I do not have photos of the Mercury Cafe. I’d intended to get there a little early and take some but my trip was delayed because my GPS decided to stop talking to me three-quarters of the way through the trip. I got it fixed (I don’t know how-it just started working again) and parked the car at 6PM. As my reservation was for 6, dawdling to take photos seemed rude. Hopefully, I can paint some word pictures for you. The Mercury Cafe is one of the older buildings in Denver which I like because it isn’t a cookie-cutter glass and steel structure. Rather, it’s a two story stone building covered by climbing vines which covered the light brown stone with autumn tints of green, gold, and russet. I walked around the building to a narrow entrance, opened the door, and stepped into the restaurant where a young man greeted me with a smile. I told him my name. He recognized it and the fact that I had a reservation and, while he searched for his list, I took a look around. The cafe is lit to create an intimate atmosphere. There are no garish overhead lights, rather red and white strands of Christmas lights drape from the ceiling, supplemented by hanging lanterns, each one unique. I don’t know if the red and white lights are for Halloween or if that’s how the cafe is usually lit but I liked it. I could see well enough that I wasn’t going to trip as I was led to my table but not lit so brightly the space ceased to be warm and welcoming. And the cafe is warm and welcoming. Everyone greeted me with a smile, a friendly waitress took my order and checked on me several times to see if I needed anything else, and all my questions were answered with a positive and willing attitude. Putting in an early reservation was a great idea because I was seated in the front row, directly in front of the stage. Rows of chairs were added in front of me later but my spot was prime. The table was a small, round affair painted with a red flower and lit with a single candle. Perfect for creating an intimate affair but I didn’t fit it: I could barely fit my legs under it and not at all if I crossed them. There are higher tables and stools lining the back wall (which is painted with a jungle themed mural) so, if you’re tall like me, perhaps request one of those. Still, I was able to settle myself comfortably and perused the menu. As I was driving, I forewent a glass of Malbec (organic) and ordered a Chai Tea (also organic). Milk choices were dairy, oat, almond, and soy. I almost ordered two teas, each with different milks because I could, but I restrained myself and ordered one with soy. It came warm and frothy with a bottle of honey if I wished to sweeten it. I can see you strictest of the strict vegans cringing at the mention of honey but the Mercury Cafe supports local and organic farmers. This honey came from Clark’s Farm and was organic, raw, and unrefined. Kudos to the cafe for supporting a local beekeeper. Of course, all that being said, I didn’t use the honey as I find soy milk sweet enough on its own. I spooned the froth off the top of my tea as I perused the menu. The Cafe isn’t just for vegans and vegetarians. I saw burgers, chicken, and grilled salmon for the omnivores, vegetable and cheese options for the vegetarians, and tofu, tempeh, quinoa, and beans for us vegans. I’d never seen tempeh on a menu before but, as I thought it would be too much meal for me, I ordered the Vegan Grill from the appetizer menu. The Vegan Grill consisted of breaded and fried tofu, a veggie skewer with mushrooms, bell peppers, and onions, and two sauces. One was a spicy tomato salsa and the other an Asian inspired black bean sauce. Two sauces when I usually have none because they’re dairy based! Boundless joy. The tofu was perfect; lightly flavored and firm-textured. Ordering tofu can be iffy sometimes: I don’t care for silken tofu unless it’s being used in sauces or quiches and was more than satisfied with what arrived on my plate. At one point, I bit into something I thought was a peppercorn. Perhaps it was. Pepper flavor sparked in my mouth and, as I like pepper, I didn’t mind. Then the agony started, searing its way through my mouth and sinus passages, bringing tears to my eyes. I made the mistake of grabbing water which only served to move the fire around my mouth. My milk-based tea worked a little better but, I admit it, I was hurting. In desperation I reached for my little side dish of grapes and I was grateful to have them. Their sweetness helped tone down the fire and I was able to complete my meal although, as I was out of grapes by then, I was a bit more cautious. Despite my adventure with the peppercorn, I heartily enjoyed my meal. It was full of flavor, presented in an appealing way, and completely vegan. With parking, dinner, tip, and the cost of the show, my night out came in under $30.00. Was it worth it? Every cent. The food was amazing, the atmosphere enticing, and the show spectacular. Tribal Belly Dance, Traditional Belly Dance, and Bollywood dance all came together in a tour of a Macabre Mansion. There were fun tweaks to traditional performances, like a cane dance being performed with brooms by two women dressed as witches, and a blend of American Belly dance mixed with African dance. There was an ensemble that included a male belly dancer and a Star Trek inspired routine; green body paint included. My night at the Mercury Cafe’s Macabre Mansion was awesome and I can’t wait for the next show. I’m in the process of researching the McDougall Diet and am specifically looking for negative reviews. Why? Because it is a good idea to see what the other side of a story is. What are people saying about the diet? Can people stay on it long term? Is it too restrictive? One person said the diet couldn’t be maintained because of a lack of satiety. I haven’t experienced this: quite the opposite. I have less of a desire to snack after 8pm because my meals are staying with me. I know I’ve been feeling great during my challenge and don’t see any problem with keeping the changes I’ve already made. I find my body is especially pleased with me for cutting back on fried foods. That being so, what do I do when it’s time for take-out? Tonight was one such night. I didn’t get back to the house until early evening so my family and I decided to order in. I perused the menus I had in the house and kept eliminating one after the other because everything was fried. At last, I found the curry section in Thai Panda’s menu. The description stated “oil-free” and I was in. I like Thai Panda. Their curries are perfectly spicy and I can re-use the take out dishes. Also, Thai Panda offers steamed brown rice. I ordered a Red Tofu Curry with brown rice and that was all. All of the vegan side dish options were fried so no spring rolls for me. I didn’t need them. I have enough remaining curry for an entire meal tomorrow and I am satisfied. It’s closing in on three hours since dinner and I’m not hungry. And, most important of all, my meal tasted great. I’m not ready to give up on the McDougall Diet: plus my challenge still has 3 days in it. 27 days does isn’t sufficient time to proclaim the diet lives up to its promises but I’ve seen a positive response in my body: the diet is doing what I wished it to. And, research so far finds far more positive experiences with Dr. McDougall’s diet than negative. Anyone out there have any experience with the McDougall Diet? I’d love to hear about it. I have the best family. They have been supportive of my decision to become vegan, never criticizing me for following a lifestyle that is so different from what they grew up with. They are thrilled to try anything I make and have been pleasantly surprised at how tasty vegan meals are. They support me in so many varied ways and, sometimes, they take me to dinner. Last night was such a night. The day hadn’t gone well for anyone (except me-I felt wonderful!) and my family felt like they needed a treat. Off we went to Tres Margaritas, one of our favorite places for burritos, enchiladas, and tamales. I was curious to try my McDougall diet in a restaurant setting. Tres Margaritas is very vegan friendly but what about McDougall diet friendly? The restaurant offers complimentary chips and salsa: they are placed on the table the moment one sits down. I eyed them with suspicion. The chips left no oil stains on the liner but I still exercised restraint. I turned my attention to the menu. There are a few vegetarian items on the menu where the only special order I have to place is ‘no cheese, please’ and one completely vegan burrito: the garden burrito. The description of the burrito includes the words ‘sauteed vegetables’ and I figured the odds were high they were sauteed in something Dr. McDougall would say was a no-no. One of my go-to meals at Tres Margaritas is the black bean soup. It’s garnished with fresh tomatoes and cilantro, no sauteing in sight. Black bean soup couldn’t have much oil in it: I ordered it and a side order of rice. I checked the plate when the rice came and no oily residue was left so I called it safe to eat. I stirred the rice into the soup and tucked in. I only ended up eating half. Oil content was not an issue: salt was an issue. I was surprised at how salty the meal was and I’m not usually one to quibble at salt. It’s been a while since I’ve patronized Tres Margaritas. Was the food always so salty and it’s only as I’ve cleaned up my eating habits that I finally noticed? I’m thinking back to my Chili’s Challenge and, yes, I remember that being salty as well. It must be me. As I’ve cleaned up my diet, eating more and more fresh fruits and vegetables, my tastes have changed. My tongue seeks out delicate layers of flavor and last night it was overwhelmed with salt. I don’t wish to disparage a business: Tres Margaritas is a wonderful destination for great service and friendly staff but I’m no longer certain it’s a place my taste buds wish to go. What does this mean for eating out? I don’t know. It’s nice not to have to scrub the stove and do dishes at night, but the food I make myself is 100 times better than anything I’ve found in a restaurant. And, as excessive salt causes health problems, it’s better to maintain control over the level of salt in my food. I have Robin Robertson’s One-Dish Vegan cookbook. I’ll take a look at those recipes and McDougall-ize them as necessary. Best of both worlds: home cooked food and minimal clean-up! One thing I will say, the restaurants are better at presenting food. My presentation consists of dumping the food on the plate and hollering; “There! Eat your dinner!” (Channeling my inner Fagin). Okay, I don’t really shout that but I can’t deny there’s room for improvement in making my food look pretty on a plate. All the more reason to practice at home. Being vegan isn’t all that difficult. Great food, more energy…what’s difficult about that? With a little careful planning, especially when traveling, a vegan diet isn’t difficult to follow. But, what happens when there isn’t time to plan? The Vegetarian Times states that 3.2 percent of US adults are vegetarians and .5 percent of those are vegan so dedicated vegan restaurants in Colorado are few and far between. That being so, what is a vegan girl to do? I wondered, can I walk into any restaurant and end up with a vegan meal? One that does not consist of lettuce with olive oil and vinegar? That felt like a challenge: one I was sure I was up for. Now, all I had to decide was, when and where. My family gave me the opportunity to meet my challenge. We’d spent the day grocery shopping and getting caught in a rainstorm. By late afternoon, we were tired, bedraggled, and unwilling to go home and cook dinner. That left take-out or eating out. Take-out interested no one and thus started the ‘where are we going to eat’ conversation. I am the only vegan member of my family so, inevitably, the question becomes; where can Kate eat? I can eat anywhere, I pipe up. I can make a vegan meal out of side dishes, if I have to. This is greeted with dubious looks but a decision is made: we’ll go to Chili’s. I feel a qualm. I think I ate at Chili’s twice in the years before becoming vegan and not at all since then. I can’t remember what was on the menu but I anticipate burgers, fries, cheese, cheese, and more cheese. I find all of these things. I also find chips and salsa, fresh guacamole, and the opportunity to sub a black bean burger for the meat in any burger Chili’s makes. I decide to give that a try. I size up our waiter and find him to be a helpful young man so I order the chips and salsa and the guacamole burger with the black bean patty, no melted mozzarella cheese, and no cumin-lime sour cream. My meal comes exactly as I order it. It isn’t bad but it isn’t something I would return for either. I don’t wish to disparage Chili’s in any way: the wait staff is kind, helpful, and striving to make me as happy as possible with my food, it just didn’t ring any culinary bells. On a side note: that wasn’t the case with the chips and salsa. The chips were fresh, crispy, and had the perfect level of salt. The salsa was spicy without burning holes in my tongue and contained just the right amount of fragrant cilantro. I leave Chili’s pleasantly surprised at the options I found and thrilled with the service I received. But now comes the time of reckoning. How did I do? Google finds me Chili’s vegetarian menu and the black bean burger is listed as MAY containing eggs and dairy. That’s a bit of a bummer. Perhaps my meal was completely vegan: I can’t be sure. Did I fail my challenge? I don’t think so. I have to do the best I can living this vegan life. Nothing is ever perfect. I am thrilled to see more and more restaurants seeking to accommodate a small but growing percentage of the population. The lesson? Do the best you can with what you have and it’s always a good idea to have a plan. Welcome to the Vegan Wayfarer! Hello all! I’m pleased to welcome you to my new blog where I will post travel tips, restaurant reviews, book reviews…anything and everything having to do with traveling as a vegan. I admit, at this point in my life I don’t go further than across state lines, but traveling through the Midwest as a vegan can be especially challenging. I hope to be able to post about more exotic locations in the future. Until then, I look forward to meeting all of you.